When we told you about the W6.0 Pro 2 Windows 10 smartphone last month, there was no word on when it will go on sale and how much it will cost. Well, you'll be glad to know that the pricing and availability details have now been revealed. The device carries a price tag of €380 (around $430), and is now available to pre-order. It will hit the market in over a couple of months from now - August 29 to be specific. To refresh, the W6.0 Pro 2 is powered by SD617 SoC, and sports a 6-inch full HD display. It has 3GB/32GB memory configuration and features a 13MP/5MP camera combo. A 3,900mAh battery is there to keep the lights on. The handset also comes with Continuum as well as 4G LTE support. When the Lumia 520 was released, most web content was way lighter than it is now. 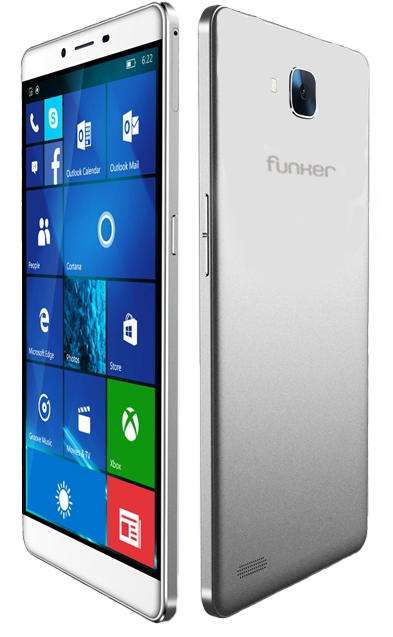 As this phone is the most basic Windows phone you can get (correct me if I'm wrong) you need to compare it to one of the most basic and old Android phones out there. The problem is not number of apps. People follow the hype keep saying the number of apps is low, then lots of fakes ones and ads built in ones added to the store.